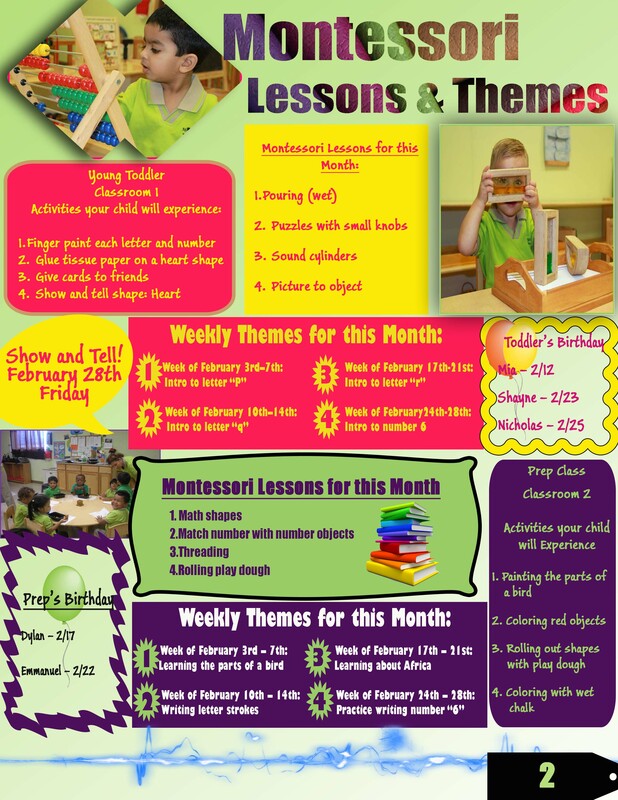 If you enter a classroom, where children are actively engaged in a self- learning setup, know that you are in a Montessori classroom. A Montessori classroom is centred around children, with the sole aim of giving children a customized learning opportunity that mimics their capabilities. Characterized with simplicity, beauty and order, a Montessori environment facilitates and maximizes the children’s learning experience. The philosophy behind the classroom setup allows the children to explore and move around at their own pace, without being too overwhelmed or too distracted with the environment; incorporating suitable movement, colors, textures and activities. Classrooms are designed to be compatible with children’s size and nature. 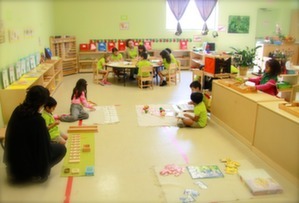 Low shelves, children sized desks, chairs and rugs, are a common sight at a Montessori classroom. The classroom doesn’t contain the traditional rows of desks, nor does it have a central focus, as every corner of the classroom is important. The classroom fosters imagination, logic and social intelligence. The activities are open-ended, giving children the space to be creative and imaginative, and the room to come up with new relationships and point of views. It also stimulates children to draw conclusions, and use their logic. Inside the classroom, children interact with one another in a friendly manner, as well as learn how to regulate their social interactions in the best possible way, and how to solve any arising arguments themselves. 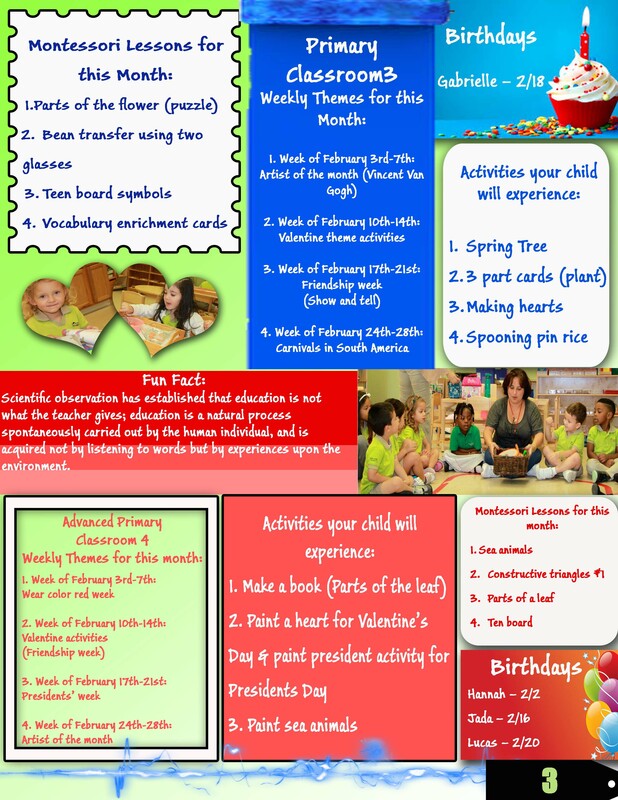 The environment encourages children to engage their minds and senses while learning. This is achieved through hands-on exploration, which is considered the core competence in Montessori. Children are also given the privilege of discovering the answers themselves. Each activity is designed to help children discover their mistakes by making the mistakes evident. For example: wrong shapes won’t fit in the right hole. 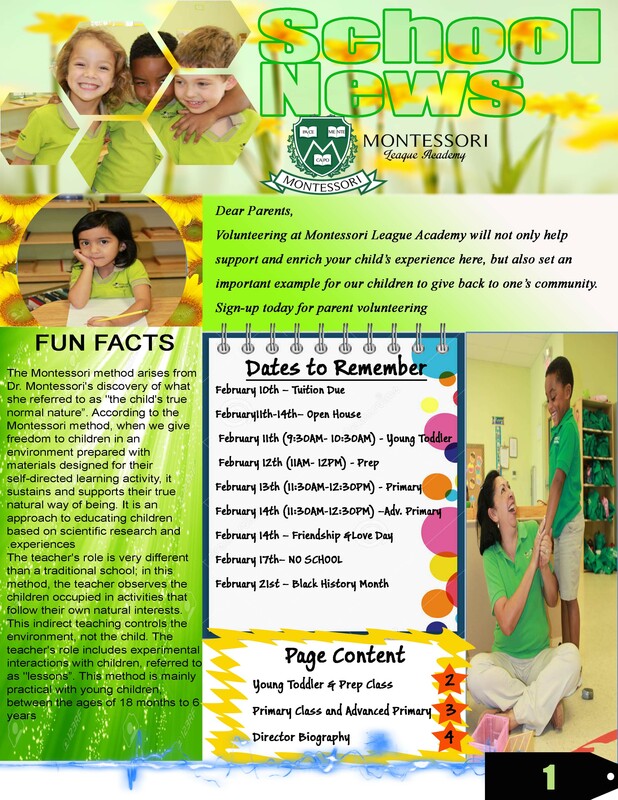 At the Montessori Ivy League Academy, we are keen to design our classes as per the Montessori guidelines. Our classrooms are physically, emotionally, and cognitively intriguing to children. We embrace learning by experience, and allow our children the chance to interact with nature and identify with it. We use naturally designed materials in our classes, and design our activities around self-expression and self-development. Our teachers are facilitators of the learning experience rather than owners of it. Our methods reinforce children’s independence and social skills. Children feel at home in our Montessori classrooms.